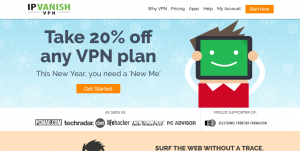 VPN is a network that helps you create an encrypted, secure and temporary connection between your device and a website and your partner’s device. No one can track or spy on you in the public network connection With VPN, you can communicate with your partner and transfer confidential files safely. Besides, you can be anonymous when you are trying to access some websites because VPN server provides different ones to replace your real one. If you are a Windows user and care about your privacy very much, we suggest you use a VPN. Before that, you need to know which ones are the best VPNs for Windows. Why Windows Users Need a VPN? Windows devices have been widely used throughout the world. However, people find that Windows devices are not so good in privacy protection. Not like Apple product, they need VPNs to protect their privacy further. Though Windows keeps on updating, invasive features and security vulnerabilities still can be found on the latest version by the computer experts. At the same time, some laws have been issued to make it legal for government to spy on citizens. That will help the hackers to make use the security vulnerabilities and attack innocent users for illegal money. If you use your Windows devices to deal with business stuff and always share important documents with your partners, it is very necessary to figure out the best VPNs for Windows and choose the right one to protect your device. You won’t need to worry about the security concerns come along with Windows. Some people may say that they don’t need a VPN because they only use they Windows to watch videos, play games and read every day’s news. It is not quite right. If you play games a lot, you should know that a game has different servers in different areas. Most people would like to choose the local server because it will be faster. However, some games do not have related servers in some certain areas. For example, people in Chinese are not able to play some Korea games. Therefore, they will use a VPN service for their Windows. They own the local IP of Korea and can enjoy many international games without any problem. You still need the best VPNs for Windows though you only play games on your with your device. What are the best VPNs for Windows? Many people think that there is no need to spend time on selecting a VPN service. They can pick up random one as long as they work to save time. However, we suggest you pay more attention to that. If you are a Chinese user, you need to choose the best VPN for China. If you are Mac users, select the best VPN for Mac. If you are Windows users, pick the best VPN for Windows. Find the best ones for you need. If you purchase an expensive one while it does not work properly on your device, it is too sad. Just learn what device you use and what function you need exactly to save your money. So, let’s talk about the 5 best VPNs for Windows and you can take them for reference. 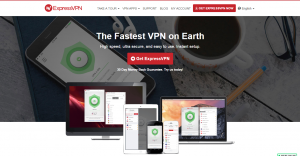 ExpressVPN offers a world-leading service for Windows. It has been voted as the best VPN for Windows due to its impressive speed and excellent encryption. Though it is powerful, it is pretty simple to use. You can follow easy guides to set up ExpressVPN on your devices no matter it is a computer, tablet or phone. Once you use ExpressVPN, it encrypts your network connection, protecting your real IP address and data you share with your partners. Besides, you can watch videos on Youtube or other videos from anywhere at an amazing speed. It definitely is worth the money. NordVPN provides a killswitch, DNS leak protection, VPN into Tor and double encryption. The high level of encryption will protect your Windows network connection. You can use your credit card or other bank card on the device and transfer confidential files to your business partners safely. You don’t need to worry about information leak every day. Your virtual private network is visible in the public network connection. In addition, it helps you get instant access to Hulu, Netflix, BBC, ITV, Sky, RaiTV and other websites that are not available for users in China. NordVPN also unlock some social websites and share legit resources freely and securely. You can enjoy amazing videos on Youtube and post interesting things on Facebook and Twitter. HideMyAss is the go-to tool for every Windows user who wants to surf the web freely, securely, privately. The high security supported by HideMyAss helps you access to sites around the world fast and safely. Banks, law firms, other businesses, and governments also use HideMyAss to protect their important confidential data. PureVPN allows you browse websites and download files with complete privacy. It is one the best VPNs for Windows. There is no Internet restriction to access websites freely no matter where you are located. Though some websites are blocked by your government while they are totally legit, you will be able to visit those for useful information with a foreign IP address. No one can track you and get your identify with the real IP address. Also, you can enjoy the 20 Mbps streaming speed with PureVPN. The hackers would like to hack you while you are using the free public WiFi. Want both free WiFi and security? Pick IPVanish. You will not put your personal information at risk while you use the airport WiFi or other public WiFi. It is is one of the best VPNs for Windows which ensures that your information remains protected. Universities, employers, and governments all over the world use IPVanish to secure their network. Besides, IPVanish accept Bitcoin. You can make an anonymous payment and no one can track your money except you. You can access all websites without restrictions. In the modern technology society, people attach importance to privacy protection. Windows users are looking for a program that can protect their device and network connection. With the best VPNs for Windows, your online activities are highly encrypted. They protect your sharing data and online communication from the prying eyes of hackers, ISPs, and other invasive third parties. You don’t need to concern about the information leak or bank account hacks. They also help Chinese Windows users access the interesting life outside the world via the Internet. People in Chinese can’t access many famous websites outside China due to the Great Firewall made by the Government. Once you use the best VPN for Windows, lots of amazing videos on YouTube are available for you no matter where you are located. You can play the computer games that you look forward to play for a long time. Though you couldn’t play some popular games with a Chinese IP before, you can play them with a fast speed whenever you want. However, how can you know which ones are the best VPNs for Windows? Can you just pick one that you see? We suggest you think twice before you purchase one. If you get the wrong one, it will not work effectively on your device. That will not be worth the money. Get the right one to meet your need. 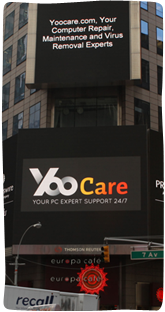 If you have any questions about the best VPNs for Windows, welcome to contact YooCare computer experts.